The Sarasota Bay Estuary Program (SBEP) was recently awarded a grant from the Environmental Protection Agency (EPA) to characterize water quality, habitat and fisheries within tidal creek wetlands in Southwest Florida. The goal is to develop a unique set of water quality standards that will protect aquatic life within the area's tidal creeks. Under the guidance of Dr. Jay Leverone, the SBEP Staff Scientist, the effort will develop a model that relates hydrology (water flow) with nutrients and the biology of tidal creeks. This will be done by reviewing existing wetland and water quality programs, evaluating and characterizing all of the targeted tidal creeks with additional sampling. The data will be analyzed and a tool will be developed for determining water quality criteria. The information will also provide resource managers with protective nutrient standards for the tidal creeks in their respective counties. 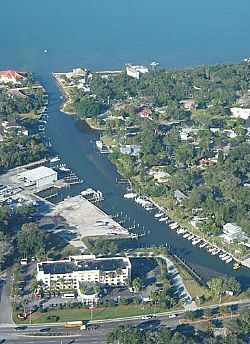 SBEP has partnered with Tampa Bay Estuary Program, Charlotte Harbor National Estuary Program, and five county partners in Southwest Florida including Manatee, Sarasota, Pinellas, Hillsborough, and Lee. SBEP is spearheading the initiative to develop a comprehensive restoration plan for regional tidal tributaries. A recent workshop series coordinated by Mote Marine Laboratory focused on the attributes of local tidal creeks, such as hydrology, water quality, and fisheries. The workshops provided a framework and plan of action for coordinated management, research and ongoing monitoring of tidal creeks in the region.